Talk about Arts, Culture, & Entertainment Listen Live - New FREE Internet Radio Stations - We Are Philadelphia! 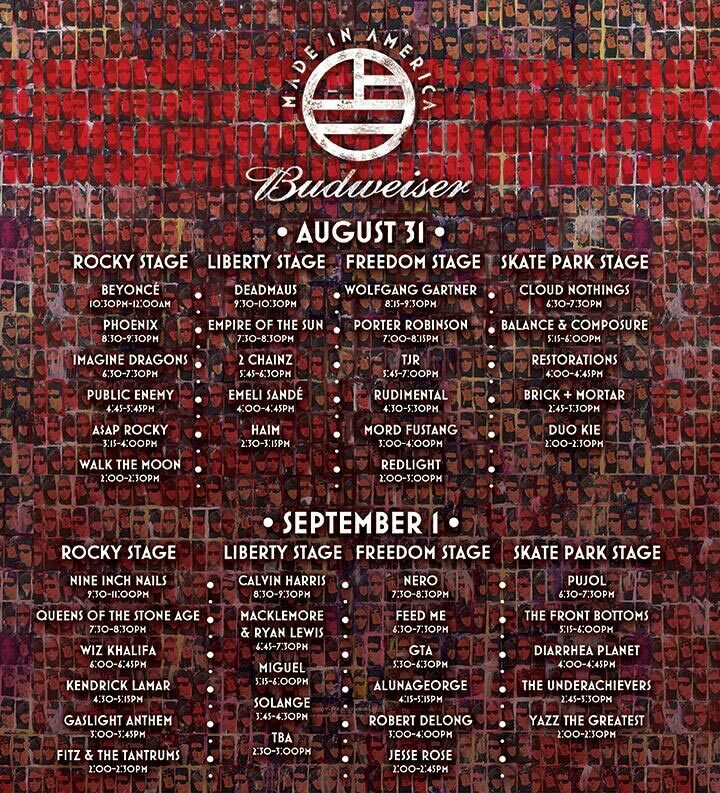 Join in the 2013 Budweiser Made in America Festival - streaming live from the Benjamin Franklin Parkway in Philadelphia, August 31st - September 1st on youtube. Can't make it to the Made in America Festival this year? Check out the LIVE video stream of the performances from the Benjamin Franklin Parkway in Philadelphia, PA provided by youtube. Here are the set times and lineup for the entire festival.